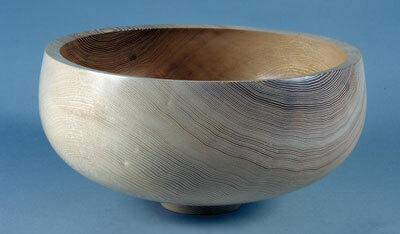 Ash (Fraxinus) bowl limed inside: 180mm (7in) h x 355mm (14in) dia. 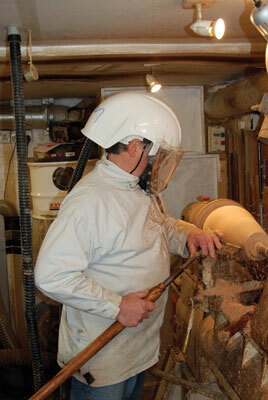 It was the big storm of 1987 that caused Dr Tim Lawson to first think about becoming a woodturner. With the sight of so many slain trees, and saddened by the dramatic loss of wood, he felt driven to do something with it so it wouldn't all go to waste. Lawson had some experience of working with wood since an early age - he had used wood to build boats in his youth, had tried carving and had made furniture for his home - but that single storm dramatically changed his life. 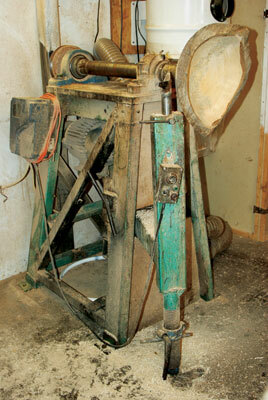 By coincidence, a good friend had just been on a woodturning course and encouraged Lawson to try his lathe. Lawson was fascinated by the miraculous changes that could happen in a piece of wood so he bought his own lathe to explore woodturning further. 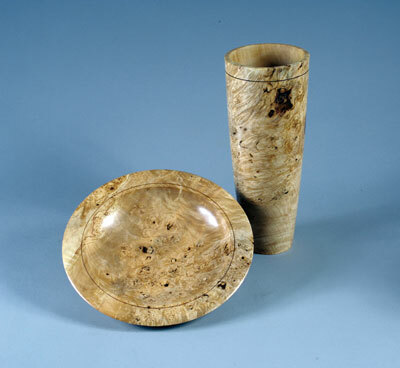 During this time, Lawson had a successful career as a doctor but as he became more and more disenchanted with the health industry and the Government, his passion for woodturning grew. 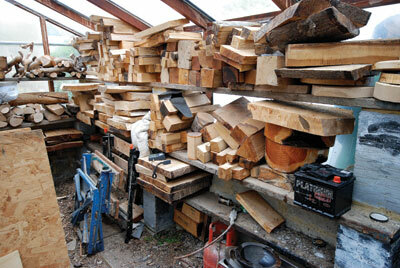 He made the decision to solely focus and concentrate on working with wood and resigned from the NHS in 2002. He hasn't looked back. "My first tree was a massive yew which took five days to cut up with the toy chainsaw I had at the time," reflects Lawson. As a beginner, I tried all sorts of turning but came to find that faceplate work was the best way of expressing my feelings for wood as an art medium." Lawson likes to produce work in harmony with the wood. 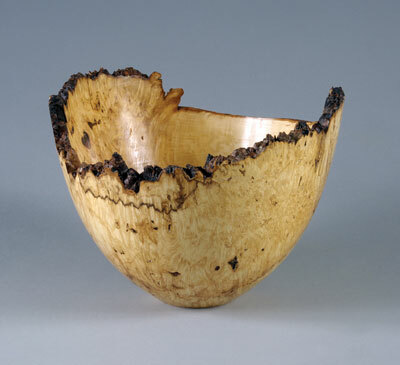 He often uses burr, spalted wood, wood with interesting grain, and features such as splits, insect damage, bark inclusions, metal and fire damage. "My main source of raw material is storm blown and otherwise wasted trees," he says. "I harvest, cut and process most of the wood myself and I have my own plot, 40ft x 50ft in size, that I rent from the National Trust at Polesden Lacey. I have cut spalted wood - usually beech - there for over 10 years so that the ground is alive with fungal spores that aid the process of spalting. "Wood has characters of its own and I think it is a great shame to take away the attractive, natural things in it," he adds. "It is a living substance and we are lucky to be able to use it in such a creative way. 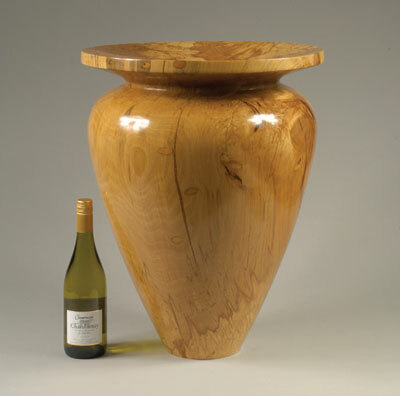 "I like to make a statement about the wood so I really like burr and ripple as well as crotch and quarter-sawn figure. Some maples, in particular, have lovely figuring too. "I also like working with wormy wood and other 'features' to make an artistic piece and to add character. But it is also important that people acknowledge the work and the time invested in it too, rather than just admiring the beauty of the wood." 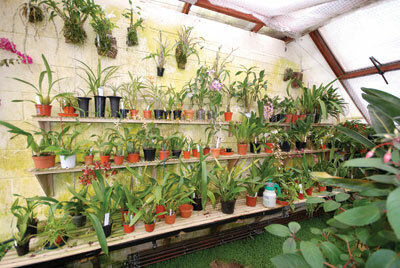 Lawson's love of nature extends further than just wood - he is also an avid gardener and has a greenhouse brimming with magnificent orchids, which he breeds. He also has a decent-sized kiln for drying wood and a large wood storage area. Lawson prefers to produce works of art rather than utilitarian items. His work represents firstly, the nature and characteristics of wood and secondly, his choice of shapes that he sees as elegant, majestic, strong or feminine. He makes work to express the character of the wood rather than hiding its flaws, and the design and results are significantly more important than technique. "I can appreciate segmented work but I am trying to produce work with artistic merit and I don't consider myself very technically skilful. I don't want to get bogged down with technique, where as with segmented work, technique is everything," he explains. "My initial thought when making a piece is 'what can I do with this piece of wood?' Forming the shape of the piece is always fascinating. "I prefer making big pieces as I feel they have more clout and you can see the balance in the shape. It also means I can celebrate the features of the wood and show more of the grain compared to smaller pieces. However, I need to be careful when making my larger pieces as it is hard to control the tool and it can be quite dangerous." and dishes. 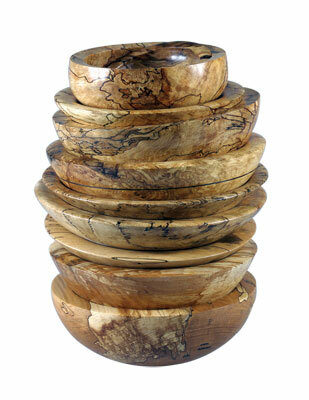 He likes to use Ash (F. excelsior) for salad bowls as it is clean and white and he avoids plastic looking finishes. He tends to minimise any embellishment on his work but he does sometimes carve and scorch, usually contrasting the scorching and texturing against non-enhanced work. 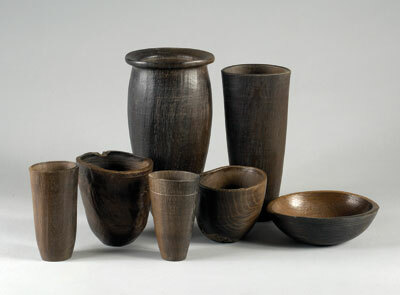 He uses bog oak (Quercus spps) for some pieces as he loves the finished result despite finding it hard to work with. "Bog oak is very old and I like using it for my work but it's nasty stuff and it does tend to move around a lot as it dries. The smell and the dust infiltrate almost everywhere and it gets under your fingernails. It really does stink but the finished result is lovely so it's worth it," he says. "In one case, I quarter-sawed the whole of one batch in order to reduce splitting and to show the medullary ray figure. This also enabled me to re-turn much of the work after drying and to get a good finish. Some of these items were enhanced by liming - they sold like hot cakes!" However, his work is not available on the internet. "I prefer people to feel and handle my work rather than buy it on the Internet - that way they know exactly what they are getting and they can see the wood with all its flaws and its true beauty," he states. Lawson was tutored mainly by Chris Stott and his work is inspired by Mike Scott, whose work he came across in the late 1980s. "I love the fact that Mike was motivated by what he wanted to make rather than what sells. I particularly like his 'Amphitheatre' series as it was very daring and well-admired," he explains. "I also like the UK artists Paul Clare, Jules Tattersall, Ray Key, Stuart Mortimer and Joey Richardson, whose work is very delicate. From the USA, I like the work of David Ellsworth. 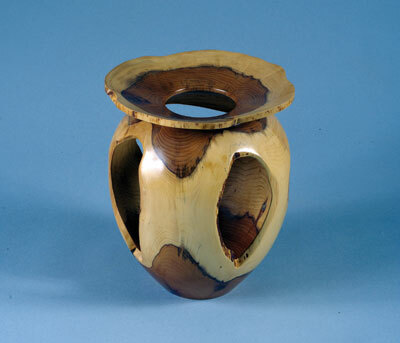 Richard Raffan, a British turner living in Australia, also wrote several books, which heavily influenced my early woodturning efforts." Lawson would be just as happy focusing his energy on just one piece as he is making smaller items. 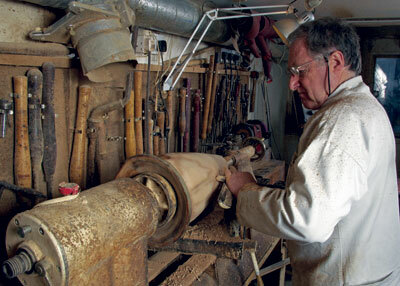 As he reflects, "In my view, a great woodturner is one who gets the combination of art and craft just right. I do not demonstrate, teach, write books or belong to the celebrity turning fraternity. I just make and sell my work." "Wood has characters of its own and I think it is a great shame to take away the attractive, natural things in it"
Your Chance to Win a European Woodworking Show Package!